Googling for 'fast' technoligies I came across the MemSQL database engine - which claims to be the fastest database engine available. It's an in-memory database and the cool thing is that it's compatible with MySQL. I think that implies that it's compatible with all existing MySQL libraries available for .NET which is really cool. Also - they mention the 'flat learning curve' implying that there's nothing to learn ( at least from a developer point of view I suppose ). Thanks. I am in search for a tool of such a nature. I am doing testing and want an in memory database. I tried out H2Database and a day later I realised that it does not fully accommodate MySQL, and hundreds of the commands are in MySQL. 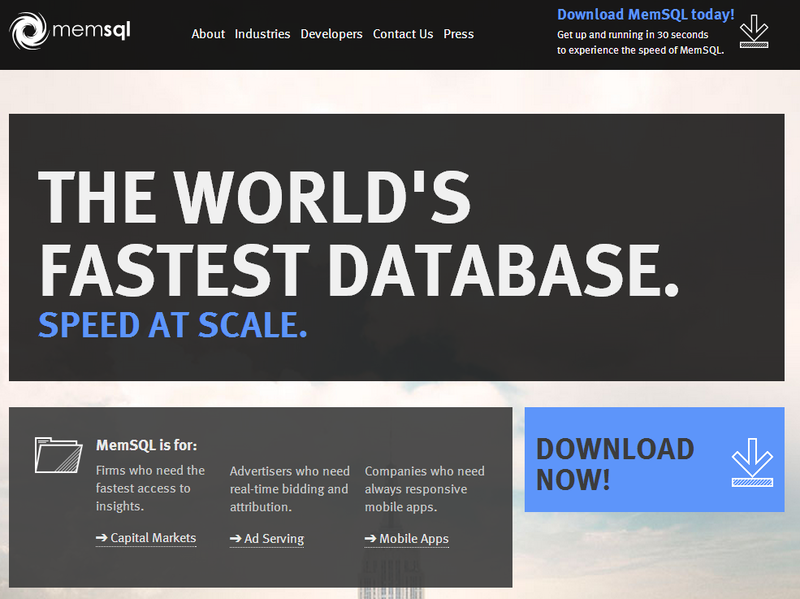 Have you had any success with MemSQL for testing? I've exactly same requirement for speeding up tests.